Public space, as a unique physical space that allows people from different backgrounds to use for free, fulfills various societal needs with its different functions and features. Undoubtedly, it is an indispensable component of our city. In this part, we will elaborate the importance of public space from three dimensions, including individual, community and city. Most human activities are bound to take place in a physical space, and public space provides us with a place to carry out various activities which may otherwise not be possible in private space. Our daily activities, including work and studies, mostly happen in private spaces, such as home, schools and offices. Most of these private spaces are indoor, and the size accessible by one very much depends on one’s financial and social status. Public spaces hence extend our living circle from private spaces. A lot of public spaces, such as parks, waterfront promenades and playgrounds, offer recreational facilities for everyone to use. 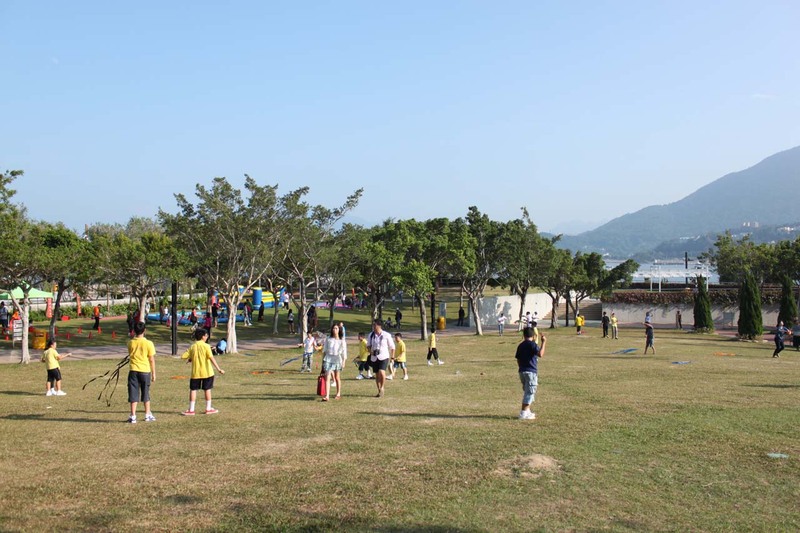 This is particularly important in the crowded Hong Kong—running trails in parks provide runners who may not have private club membership with a convenient location to practice; children playgrounds offer free entertainment to children and a place for them to interact with their peers; the water sound from a park’s fountains help relieve the noise from nearby traffic; sitting-out areas in business districts offer people a great place to have lunch and take a rest, escaping from the dull office setting. These are extremely important to maintain the healthy life and well-being of our residents.Since accessing to these facilities is free and not determined by one’s background, such fairness principle of public spaces can sustain the general living quality of the population. One very distinct feature of public space is its ability to allow citizens to enjoy public life1, which is important in ensuring that people are not isolated from the mass public. This is of utmost importance in establishing a community.. The function of public space resembles that of our home’s living room. It is where activities and interactions are concentrated, such as watching TV, chatting and playing video games, where the sense of belonging is built up. Many community events (such as carnivals, flee markets, cultural performances) and group activities (such as tai-chi practices and chess games) take place in public spaces, facilitating social interactions between one and people one knows or does not know. These help bond the sense of community, thereby enhancing residents’ sense of belonging and recognition. Without such, people would incline to be separated from the community, hampering the community’s cohesiveness. The significance of such cohesiveness can be exemplified in the large podium gardens of Hong Kong’s old public housing estates, in which residents from the tiny units gather and interact very frequently, because it is where people pass by every day, where people chat with their neighbors and where community events are held. These podium gardens have helped bond the community, just as how our grandparents would have always told us that “people’s bonding used to be so close in our days when we lived in public housing.” Nowadays Hong Kong residents enjoy more private space while simultaneously being less exposed to public space; this has weakened the public life experienced by people of Hong Kong, leading to the weakening sense of community around the entire Hong Kong2. From the city perspective, public space is also essential in balancing the development in environment, culture and economy. In the environment aspect, public space acts as a buffer zone for the high-density development, providing open spaces that facilitate penetration of air and sunlight3. The greens that are commonly found in public spaces also help clean the air within urban areas. Hong Kong Park, which acts the urban lung of the central business district, is a good example of this. With regards to culture, not only are artworks such as sculptures commonly found in public spaces, cultural activities such as street performances also regularly take place in Hong Kong’s different public spaces, allowing both artists and the general public to appreciate art and interact with each other. Since the arts and cultures showcased in public spaces are free, this has allowed people from all backgrounds to be inspired through arts, enriching the cultural essence of our community. Besides promoting cultural exchange, public space is also an important platform for citizens to share and express opinions.Public spaces provide places for civil society organizations to hold assemblies, forums and demonstrations, etc in order to express their views and arouse people’s concerns on a certain social phenomena. Also, as the public has the right to access any public spaces, every member of the public can participate in these activities. For example, after the pedestrianization of Sai Yeung Choi Street South, people who pass by the street can often observe forums and signature campaigns, and they can choose whether to participate according to their own will. Finally, public space is often an important component of tourism industry, bringing myriad business opportunities. In many world-class cities, lots of public spaces themselves are iconic landmarks, such as the Millennium Park in Chicago and the waterfront of Sydney which features myriad cafes and the iconic Opera House, attracting millions of tourists to visit that particular city every year and hence contributing to the city’s economy. From a smaller scale, as public spaces draw people to visit and carry out different sorts of activities, the presence of these people draw local business opportunities, both within the public space itself and the wider neighborhood. Examples include the food vendors in parks and stalls in street markets like Tai Yuen Street in Wan Chai. 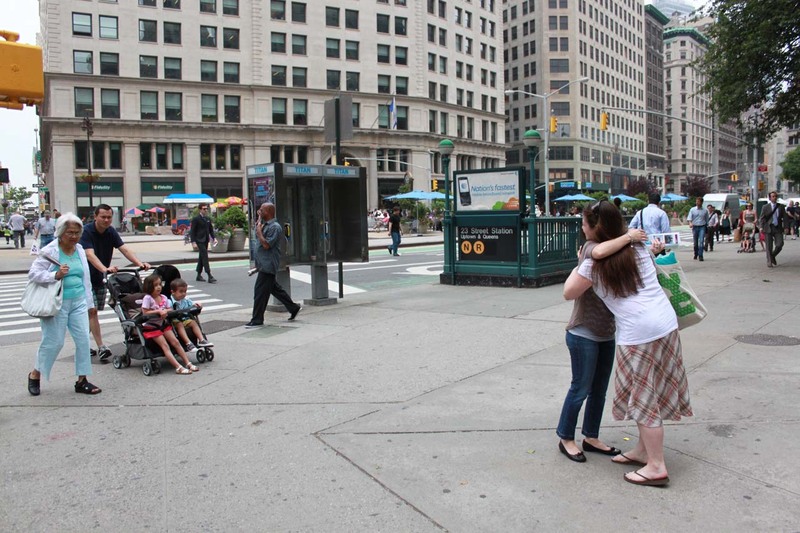 In short, the significance of public space can be seen in the individual, community and city dimensions. As the uniqueness of public space is its public nature, the role of public space is irreplaceable in our city. However, if there are too many limitations on the usage of public space, or the inherent design does not encourage public use, public life cannot be enabled in public spaces, and that would undermine public space’s significance. Without public life, social network cannot be established, not to mention the benefits on culture and economy. As such, the most fundamental purpose of public space is to effectively catalyze public life to happen. It is hence imperative that the design and management of public space has to be people-oriented, encouraging public use. In light of this, the design and planning of public space is at the top of the development agenda in other global cities. In London, the Mayor announced in 2009 that the city would invest ￡220 million to transform 50 public spaces, thereby enhancing the city’s overall living quality4. In New York City, Central Park is managed by the Central Park Conservancy, which has sustained the quality of the park as a popular public space5. In order to uphold our status as a world-class city, Hong Kong should pay close attention to the quality of our public spaces, encouraging public life. This would not only enhance Hong Kong’s economy as a whole, but also sustain our living standard. With quality public spaces, Hong Kong can sustain its attractiveness and charm as Asia’s World City, not only attracting foreigners to visit and invest in Hong Kong, but also becoming a desired living place for residents. Gehl, J. (1996) [Translated by K. Jo] Life between buildings: using public space, Copenhagen: Arkitektens Forlag. Chan, Cui-er (2006). The “Crowded” City: Our Space. Hong Kong: Home Affairs Bureau. Planning Department (2011). Hong Kong Planning Standards & Guidelines. Retrieved on 24th October 2011. Holmes, D. (2009). London to invest ￡220 million in public spaces. World Landscape Architect. Retrieved on 25th October 2011. Central Park Conservancy (2010).About the Central Park Conservancy. Retrieved on 25th October 2011. 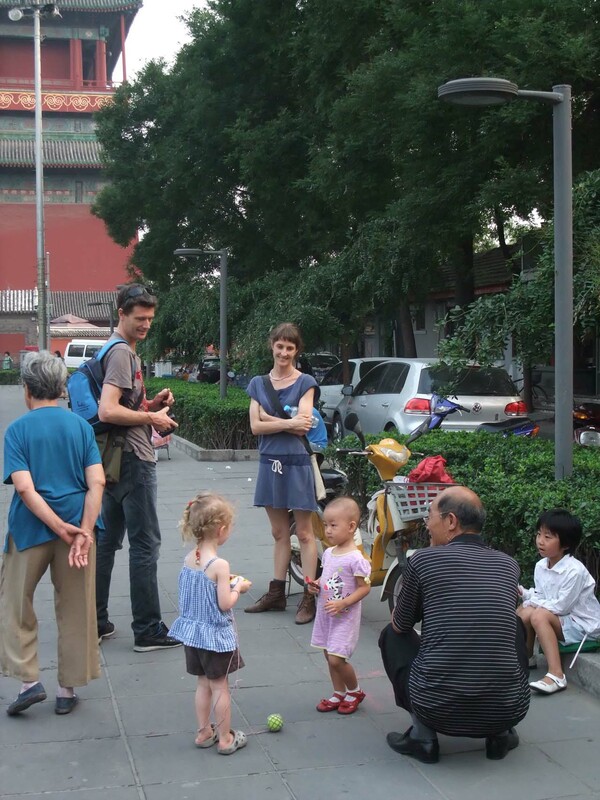 Besides building community networks, public space also encourages cultural exchange between local people and tourists.